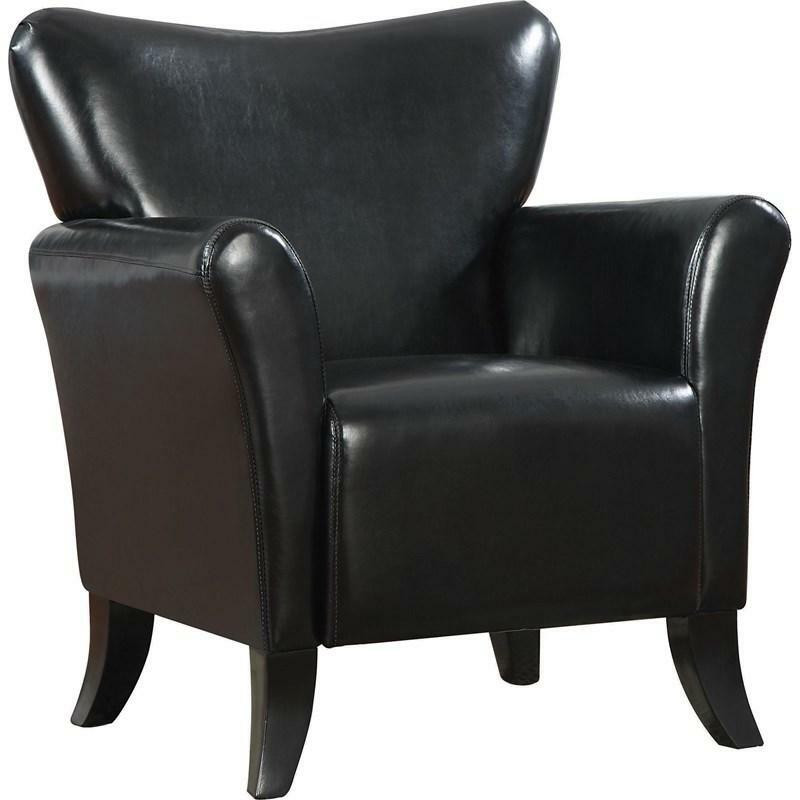 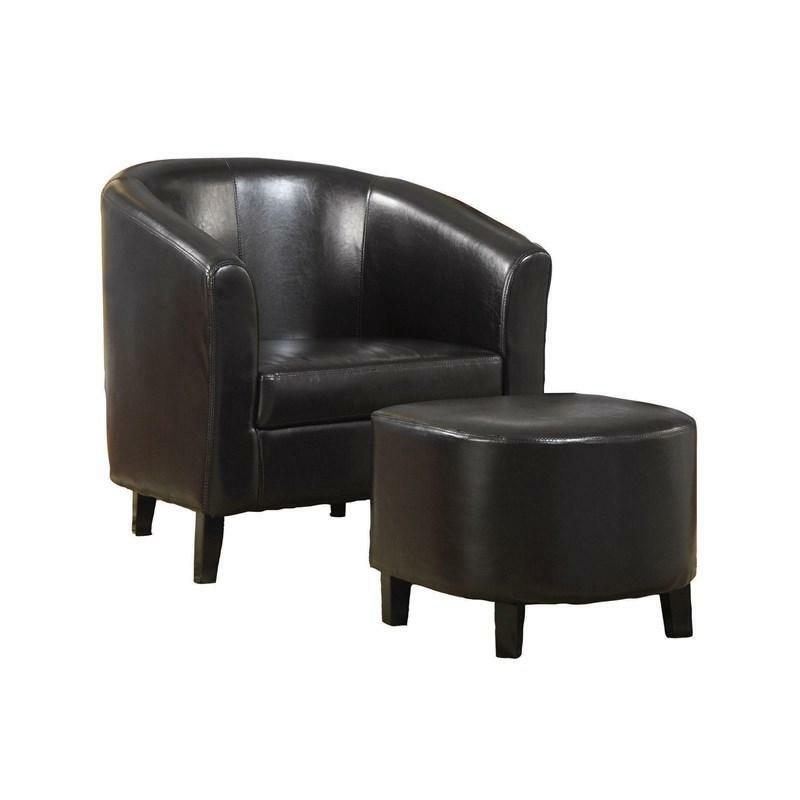 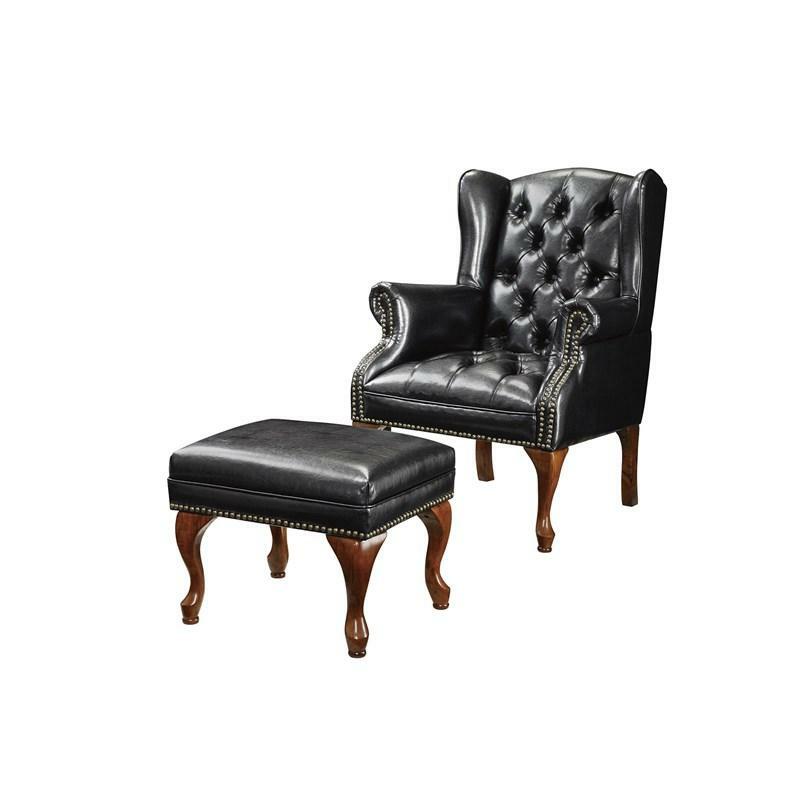 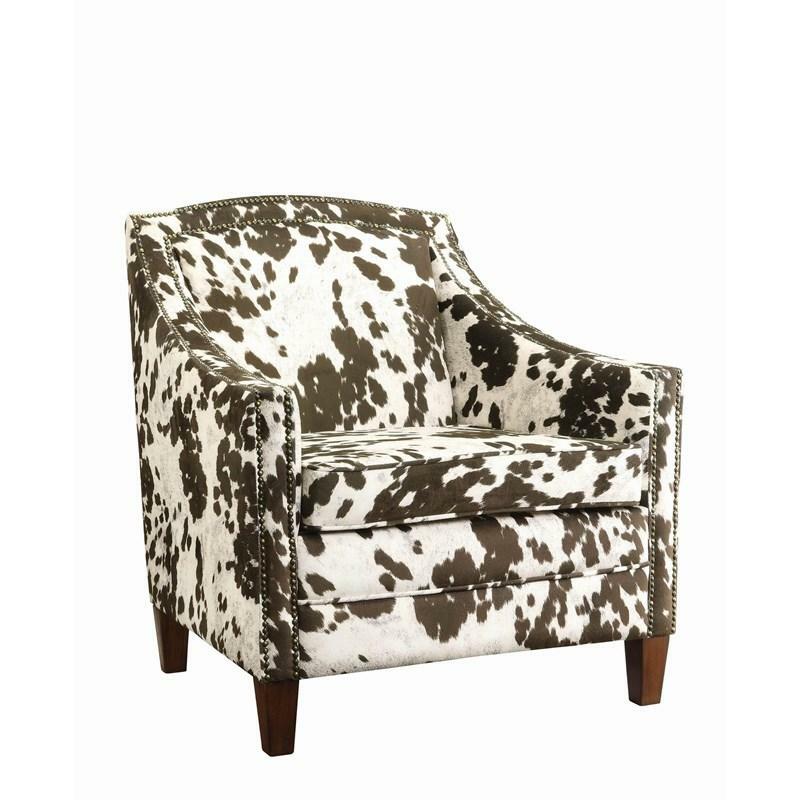 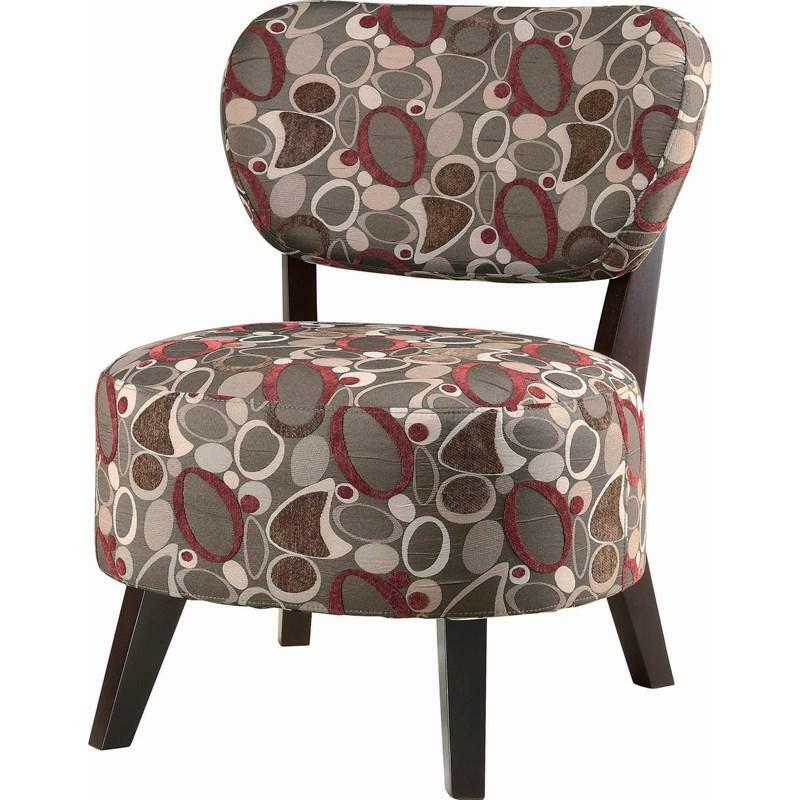 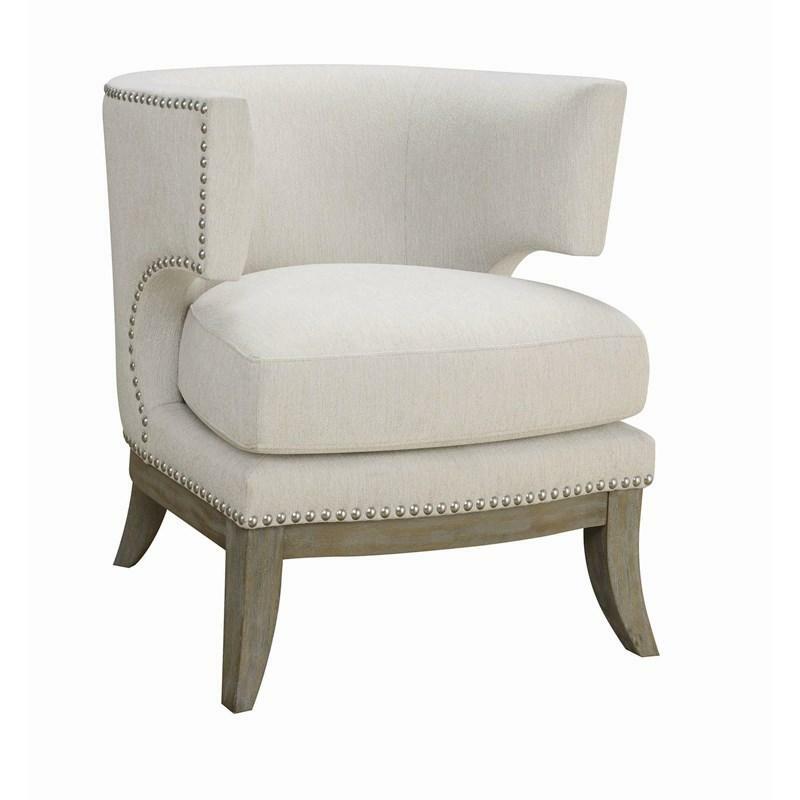 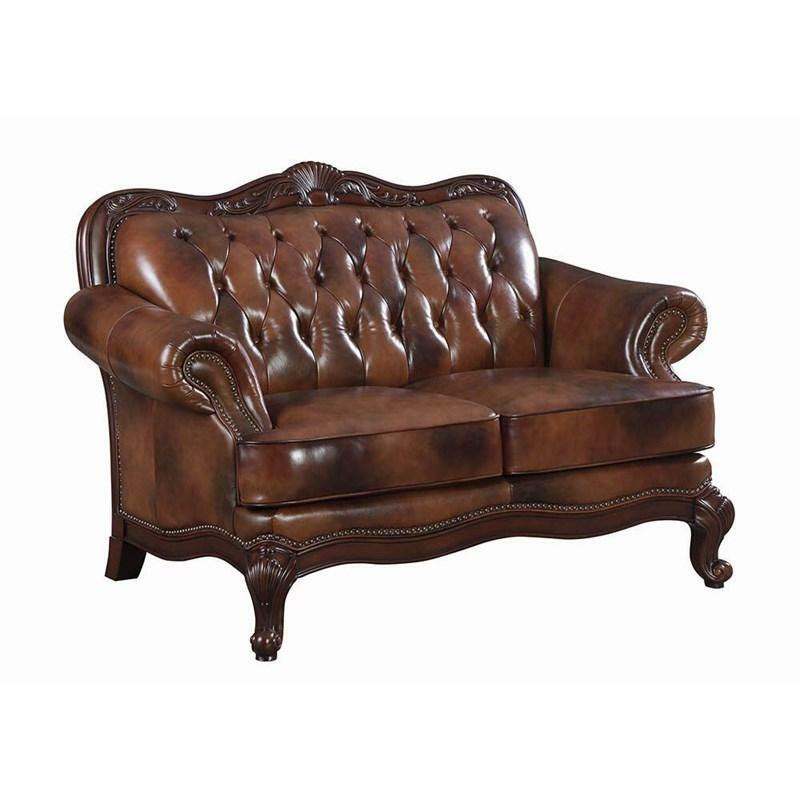 This chair features a curvaceous frame with decorative nailhead trim. 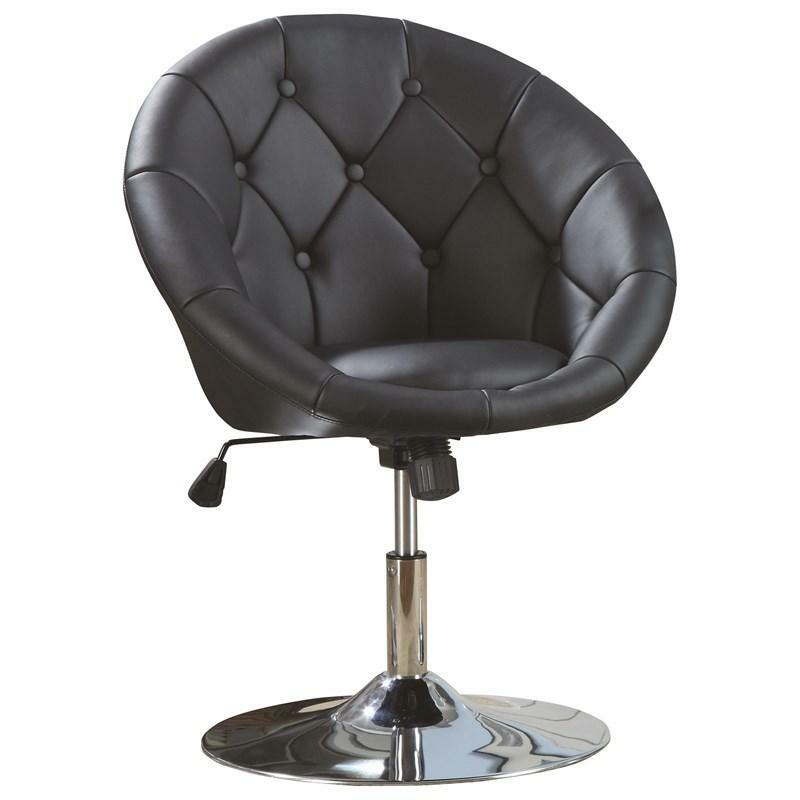 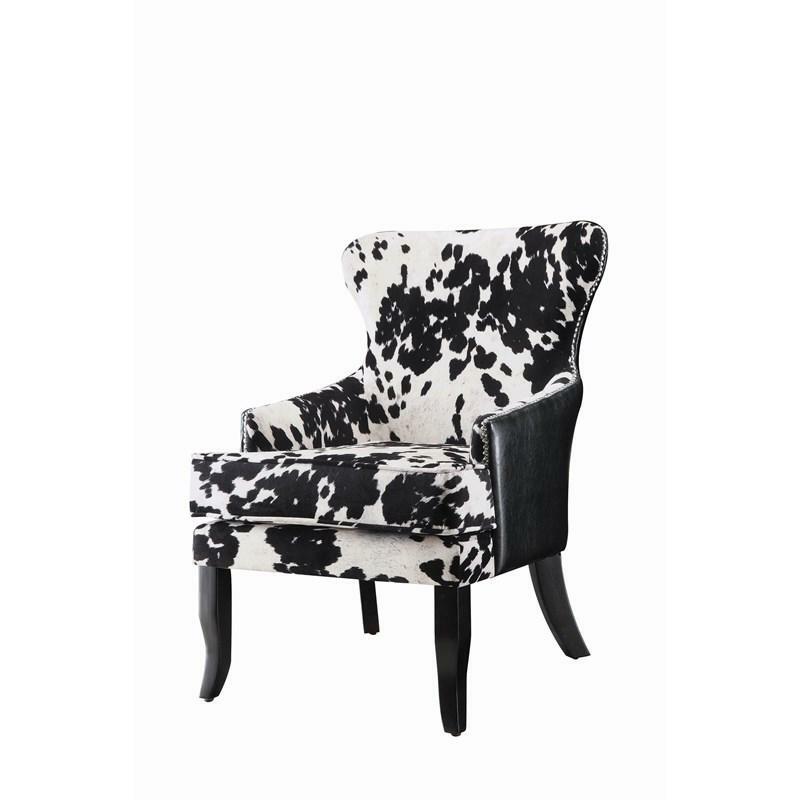 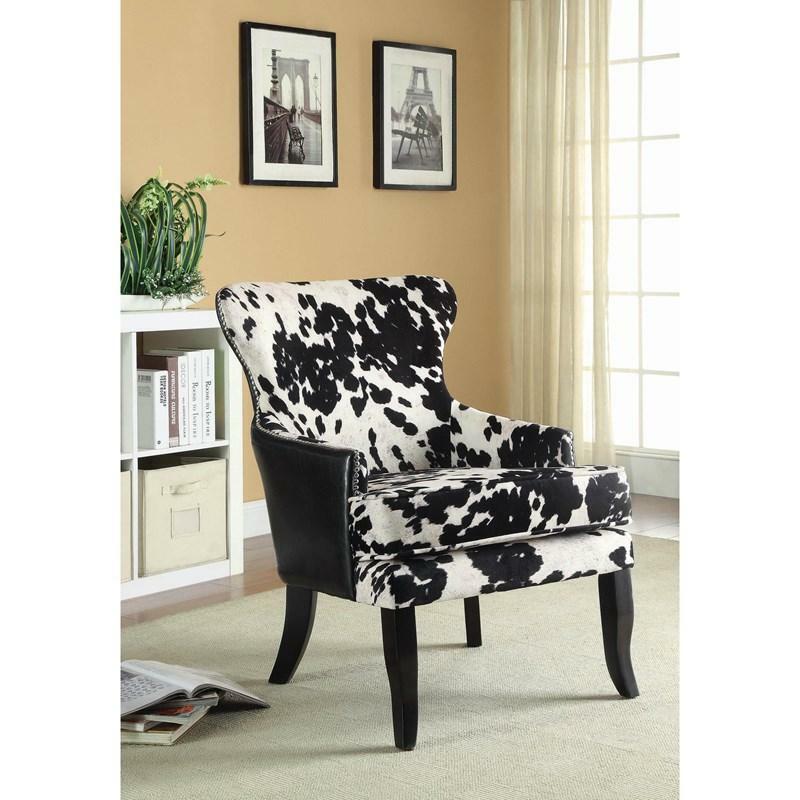 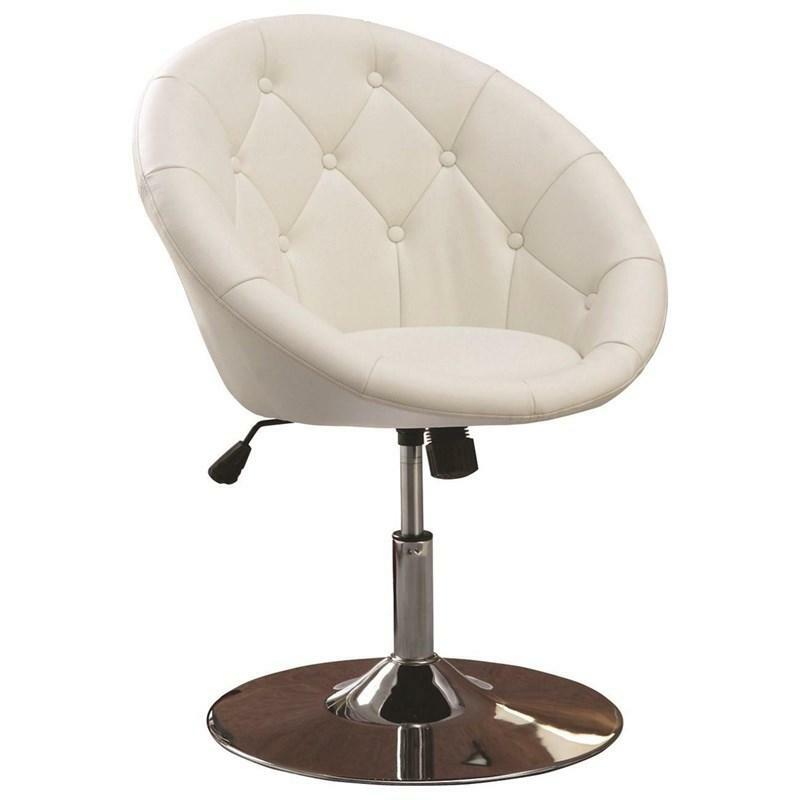 This chair is upholstered in a black-and-white spotted pattern microfiber and clean black faux leather. 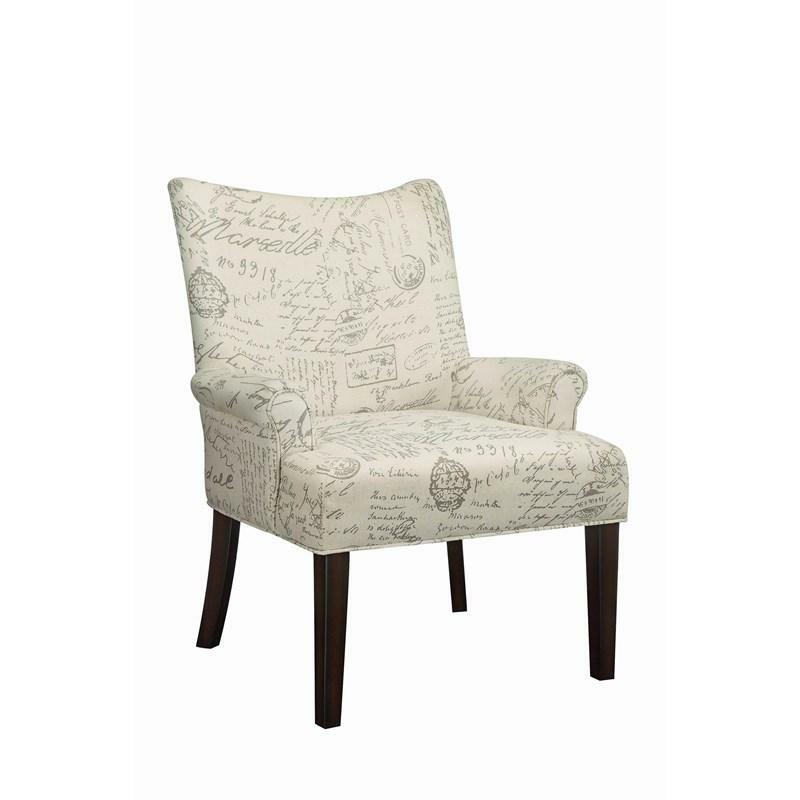 Legs finished in cappuccino complete the look of the chair and complement the design well. 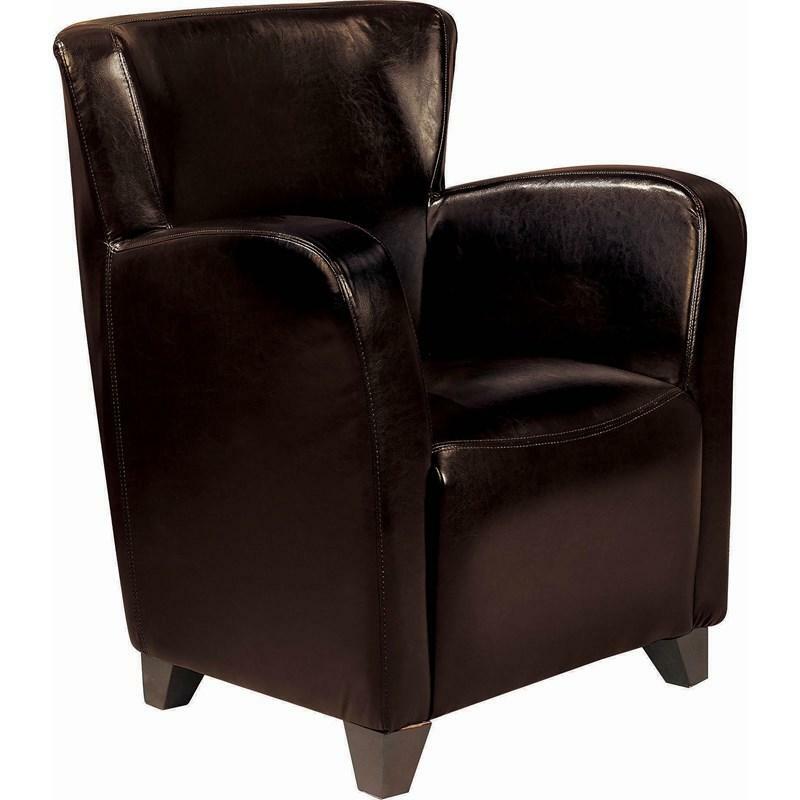 Volume 9.49 cu. 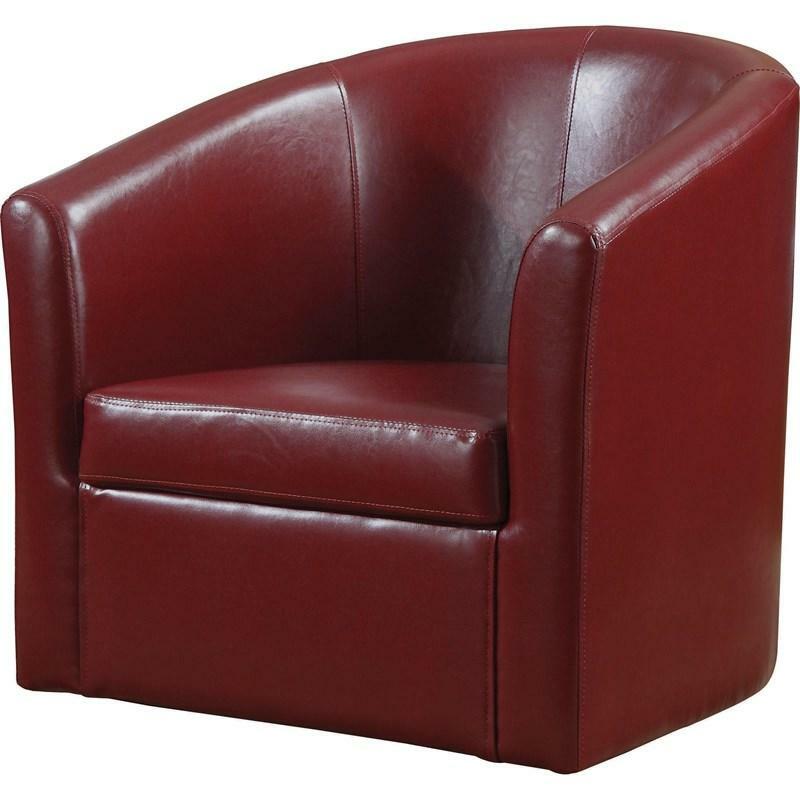 ft. / 0.27 cu. 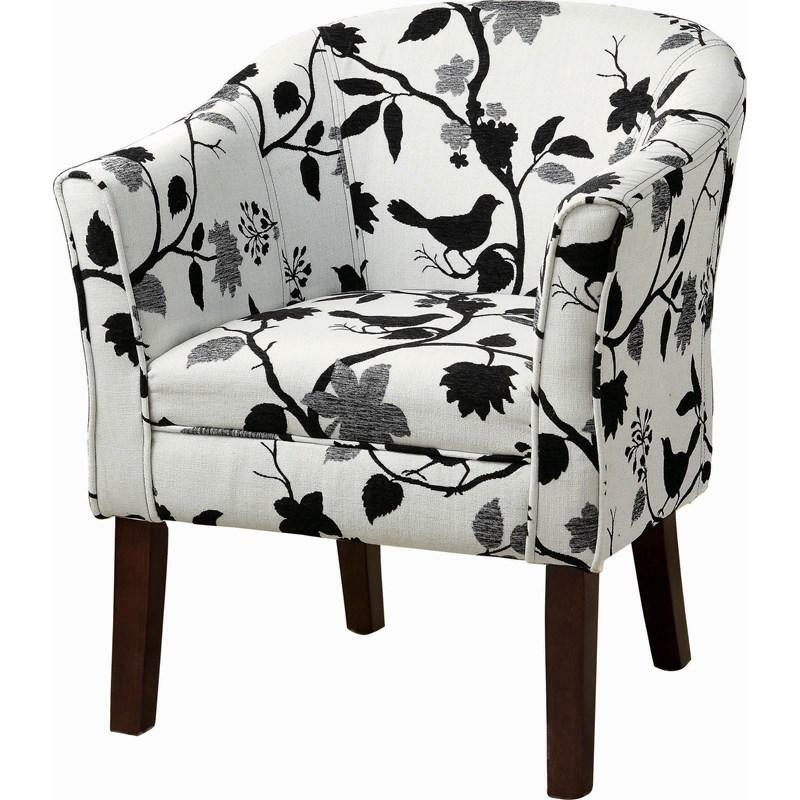 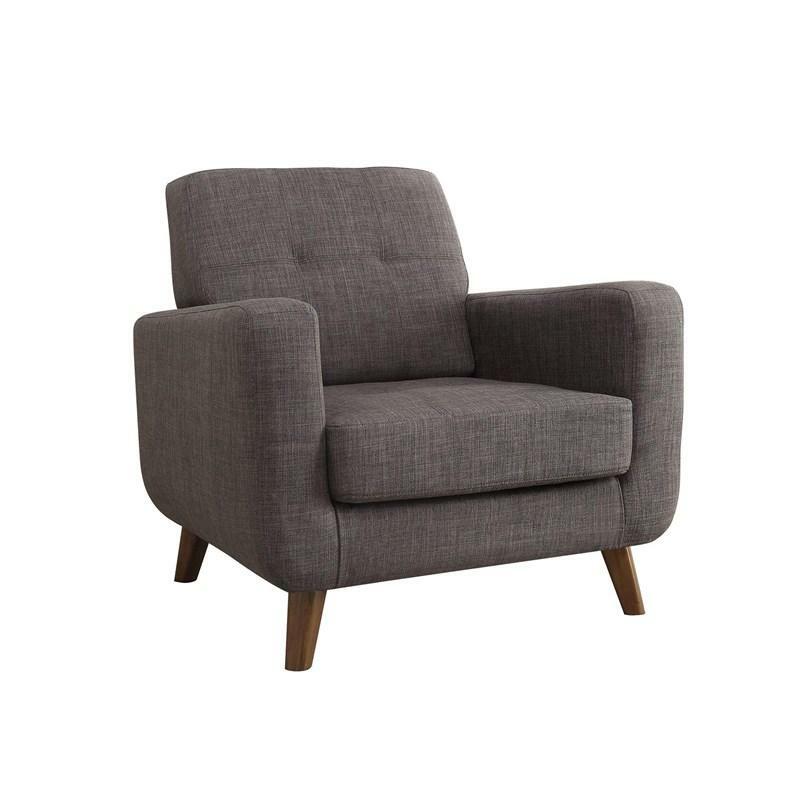 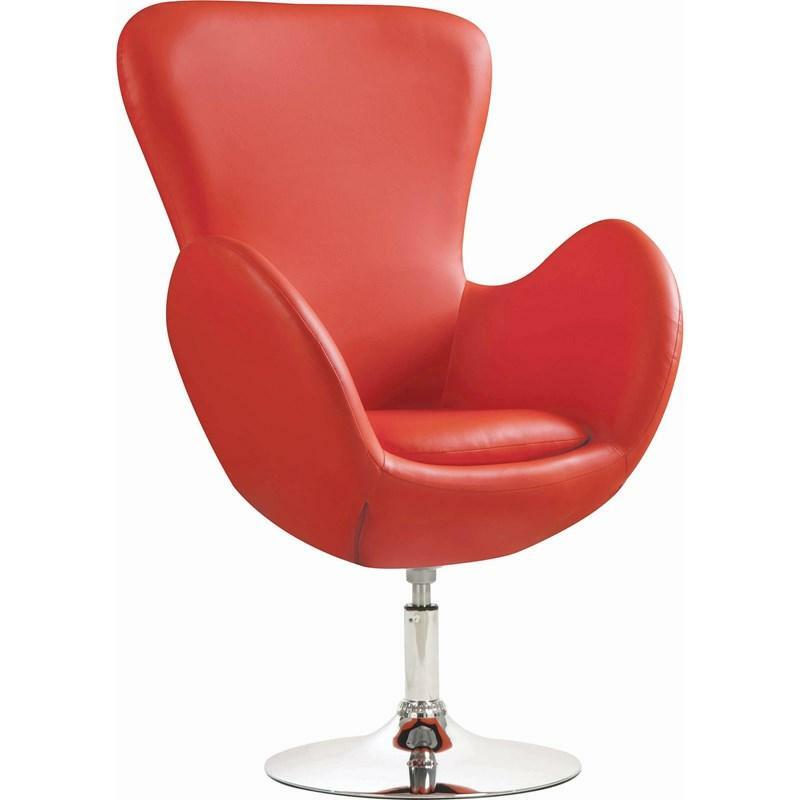 m.
This charming chair features a barrel back design with high arms and cut-outs along its base. 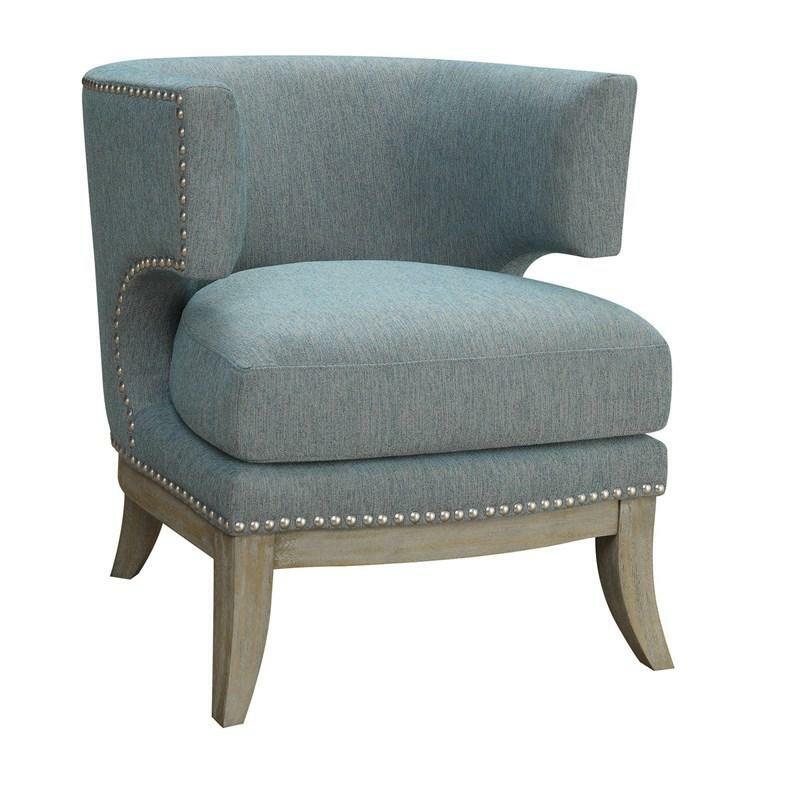 Nailheads along the frame add an accent feature to the piece. 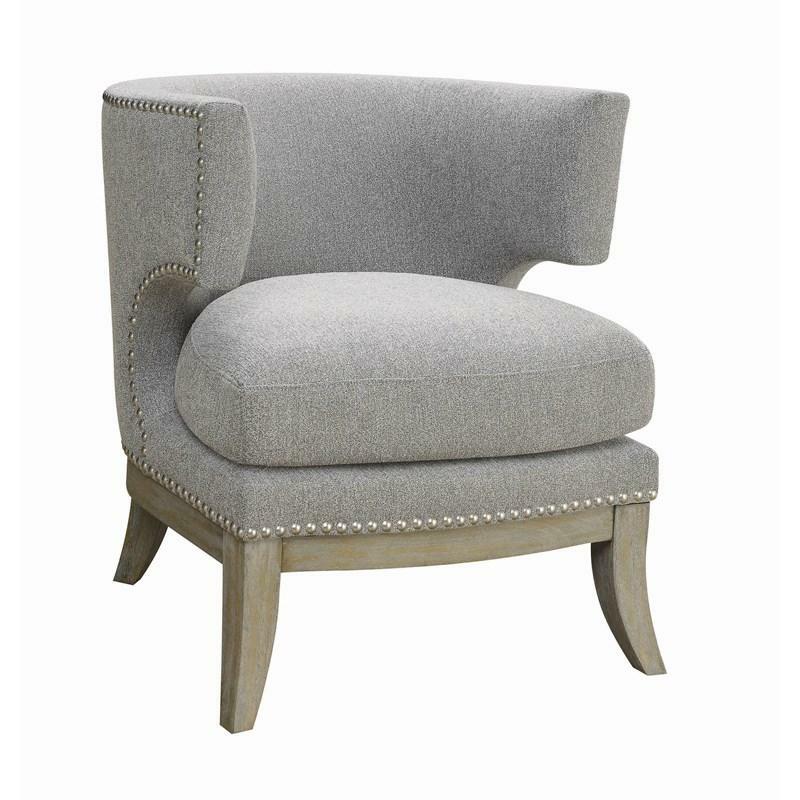 A thick seat cushion upholstered in a blue chenille that offers tons of comfort. 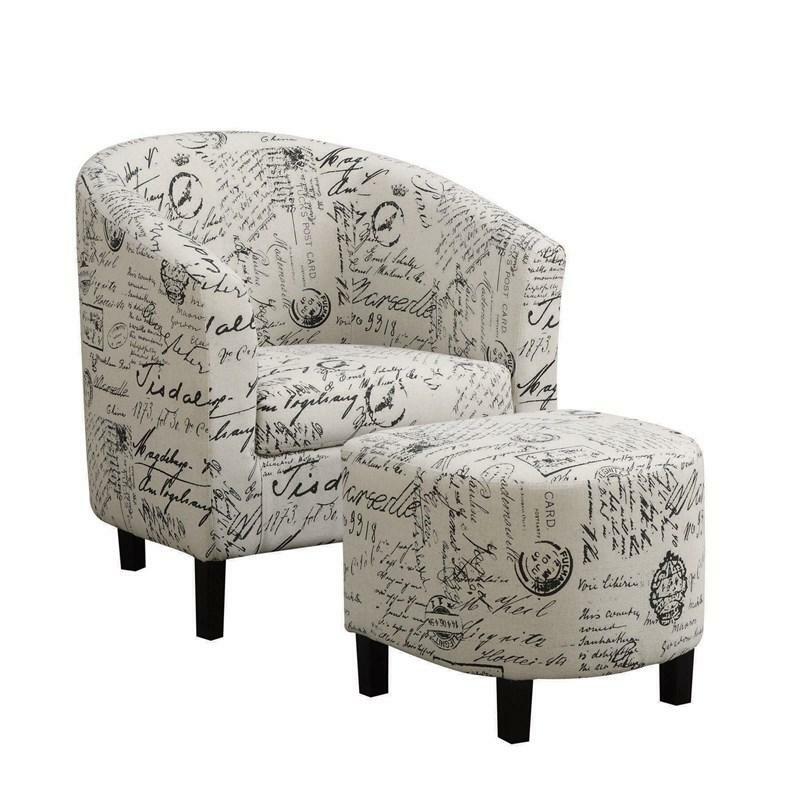 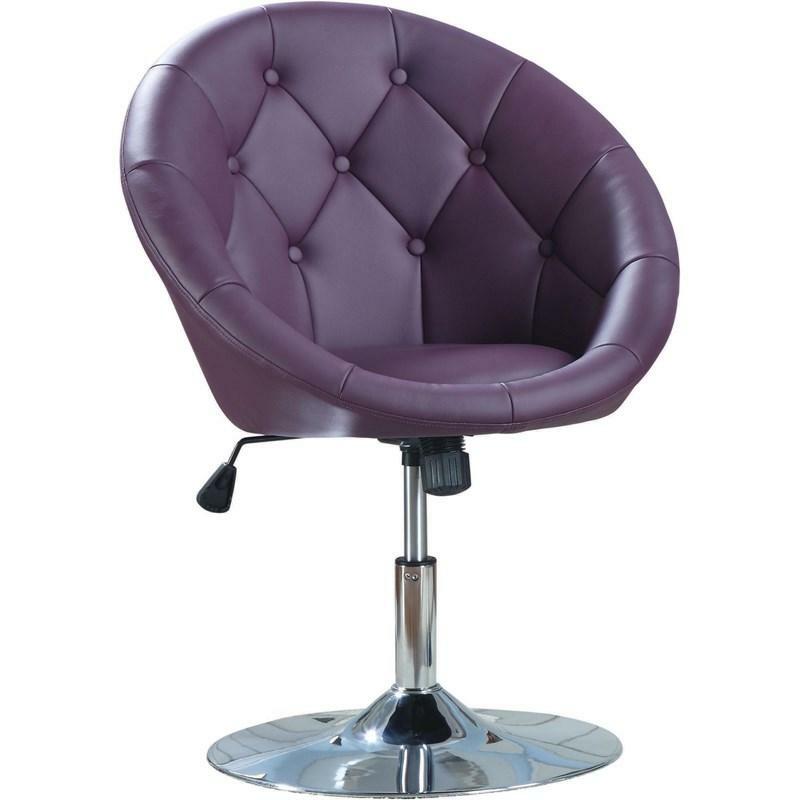 This charming chair features a barrel back design with high arms and cut-outs along its base. 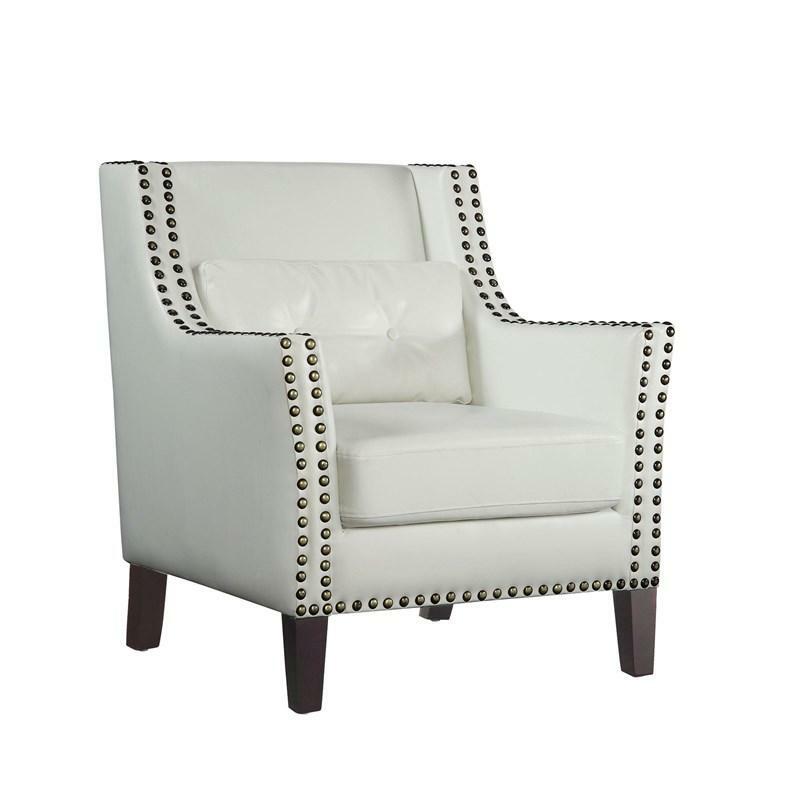 Nailheads along the frame add an accent feature to the piece. 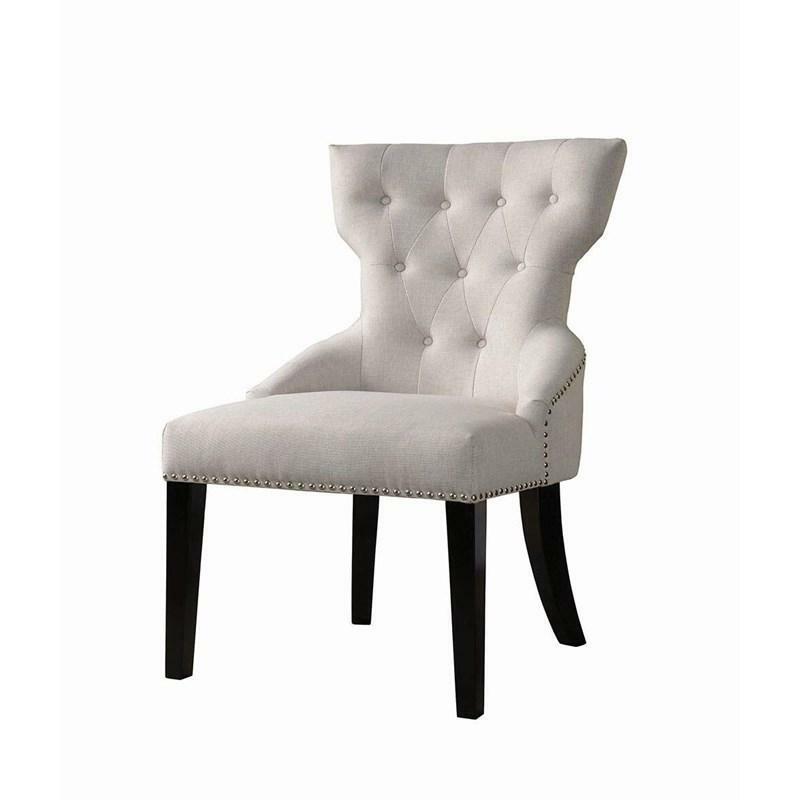 A thick seat cushion upholstered in a white chenille that offers tons of comfort.